Samsung, today reveal a press release that members of global developer community can get an early access to the Software Development Kit (SDK) of the company’s next generation of the Gear device. 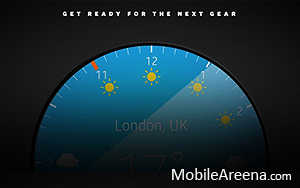 The new wearable device will be the 7th generation of Samsung Gear with a wrist watch type. This time the Samsung Watch will be in round shape and the company has first time released its wearable SDK to third-party developers before the official product announcement. Samsung's gearing up for the launch of its latest smartwatch by releasing its SDK ahead of the official reveal, which it has never done before. Devs might need some extra time to prep their applications for its release you see, since the newest Galaxy Gear will most likely have a rounded watch face unlike its older siblings' rectangular ones. The press release announcing the SDK, spotted by Android Central, came a with a circle weather watch face graphic, along with a few images of rounded apps (CNN, Yelp and more). Sadly, there were no hints in the PR indicating when the new device will be launched. But if you're really hankering for a rounded smartwatch, there's already a few out on the market, including the Moto 360 and the LG G Watch R.
"Samsung has actively adapted its approach to wearable device development as the leader of the rapidly developing category," said JK Shin, CEO and Head of IT & Mobile Communications Division at Samsung Electronics. "Through meaningful and progressive innovation, Samsung welcomes to developers and industry leaders to join this open collaboration effort to enrich and create unique user experiences for a new smart mobile life."